Our master bathroom is small . . . tiny in fact and storage has always been an issue. The past few years two basic shelves provided a simple storage solution. However I found the open shelves difficult to use. Items were constantly falling off and it just wasn't very pretty. I decided it was time to come up with a more permanent solution. I wanted the convenience of open shelves but the security of a cupboard. I searched high and low for inspiration but in the end I had to take matters into my own hands. After a trip to the hardware store I was able to build the perfect enclosed cabinet to install onto the wall and tripled our storage space. 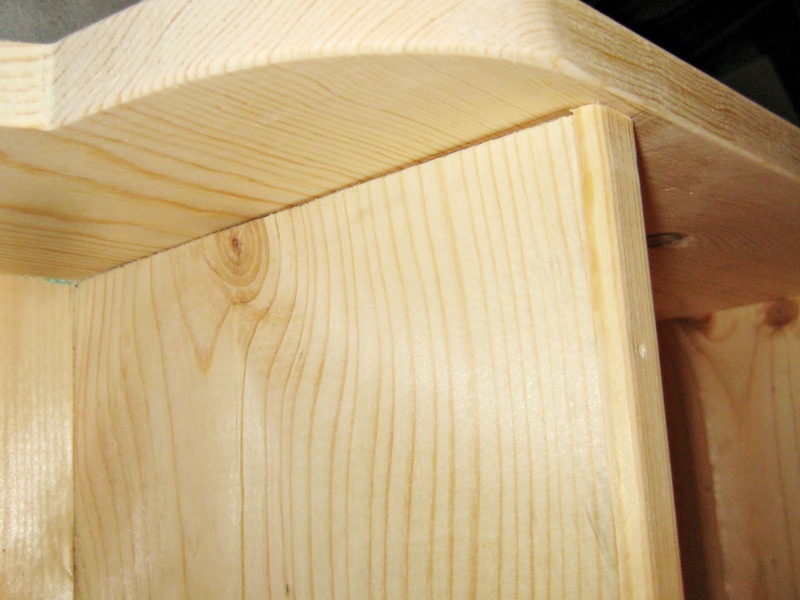 The cabinet is basic in it's construction so I dressed it up with curves and moulding. It all came together so quickly I'm wishing I would have done this years ago. Keep reading and I'll walk you through the steps of how I put it together. I first cut the two sides of the shelf to the length I wanted. 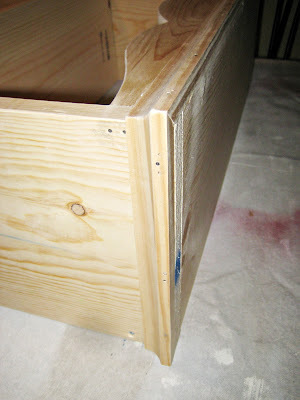 Next, using a jigsaw, I cut a decorative edge to the bottom. 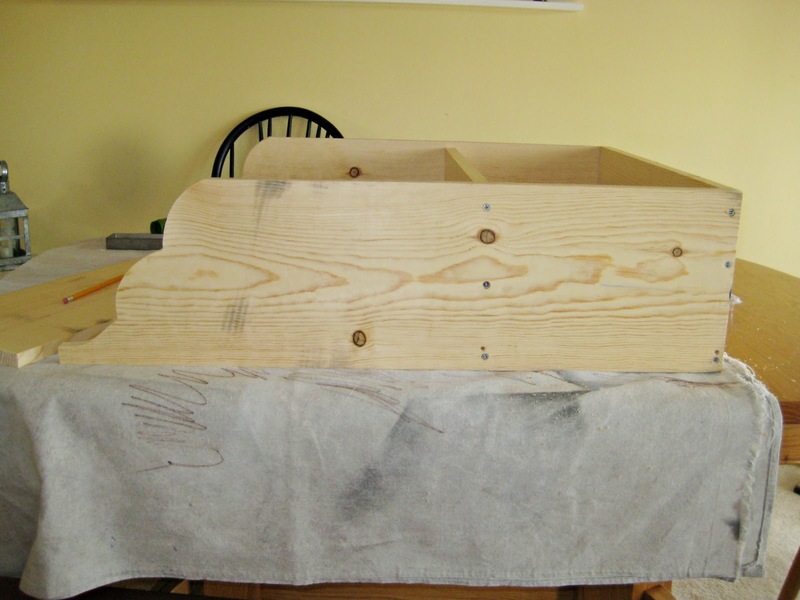 I then cut the three shelves to length. 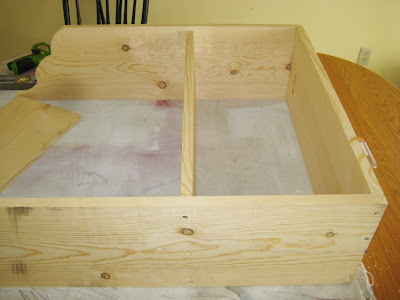 Two of the shelves I also cut off a half inch on back side to enable the shelf to sit inside the frame. Once again with a jigsaw, I cut a decorative edge to the two 1x4's. One was attached to the front of the top shelf. The other was attached at the back of the bottom shelf. And trim to the front of the bottom two shelves. Finally bead board was added to the back. Like a said, very simple construction. It didn't take me more than an hour to but together. After a coat of white paint and hubby's help hanging it I love how it looks. Its perfect!! We have a very tiny main bathroom,,,and master bedroom,,, I am getting the itch to do some painting in the master. Hmmmm always some idea floating around!!! Have a great day! Wow, Robin, I can't believe you made that! What a craftsman you are. It looks great!! It looks so great, you handywoman. 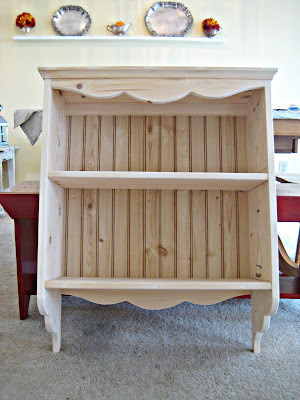 Thank you for posting this, I love the shelf and maybe I could even make one! I love this shelf. The curves in it are perfect for a bit of cottage charm. Great job, Robin. I'm quite impressed. Love love love your shelf. Thank you Robin for leaving a comment on my blog. I was so excited to see someone was paying attention!! I love the shelf [I love shelves] and I love your farmhouse. I am so happy to find your blog. I LOVE IT!! Stopped by from Cowgirl Up. Girl, I am soooo impressed. It looks awesome and I can't believe you built it!!! You need to build some more furniture, I'm thinking. 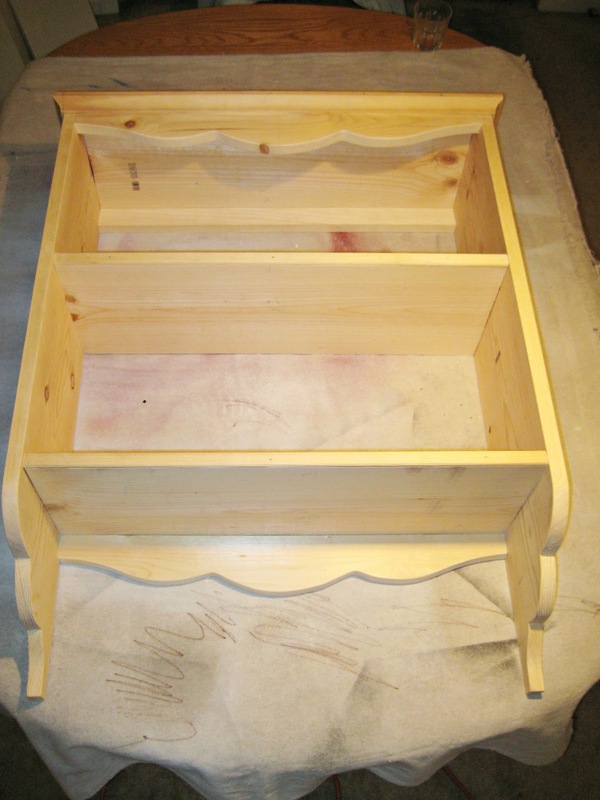 That turned out great.And it is wonderful storage too.Linking from cowgirl up. It looks fantastic! I'm really impressed. Neither Hubby nor I have the talent to do such things. Luckily, my sons do. You are incredibly talented. I love it! And I am always so impressed when someone builds something without their hubby. I guess I'm just too lazy. You did a fantastic job. Now enjoy it! Aren't you the do it yourselfer! That looks great. I never thought of adding the trim on the front of the shelves before, but it looks much more finished. Make one for me!! I love this, you are my hero. You made me want to get a new bath cabinet. My husband will be very mad at you! Love the shelf! You inspired me!! Wow! 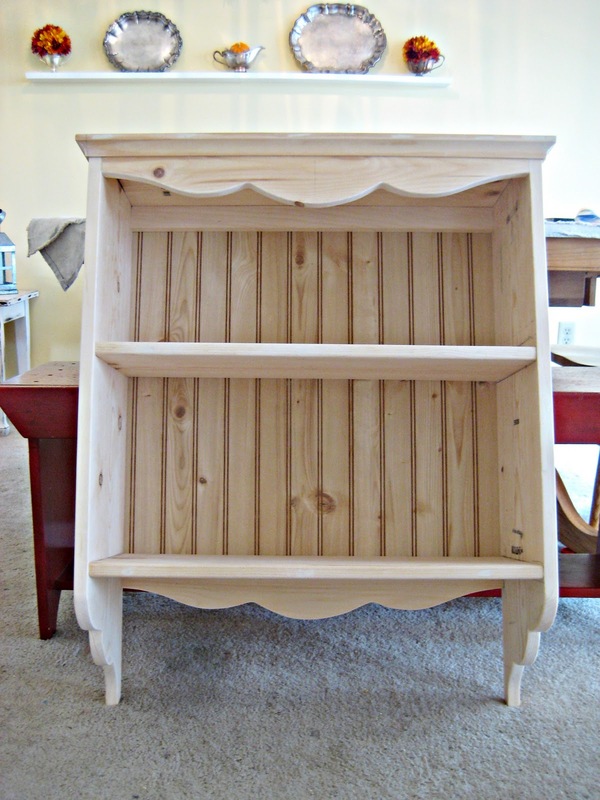 At first I thought you just found a cute shelf, but now I'm so impressed that you made it! Your self is super cute and so functional.. One suggestion, though, watermark(put your blog name on) your photos because your project is going to be "pinned". Sometimes people don't know how to pin properly and the link to your blog is lost and people don't know where to find you.